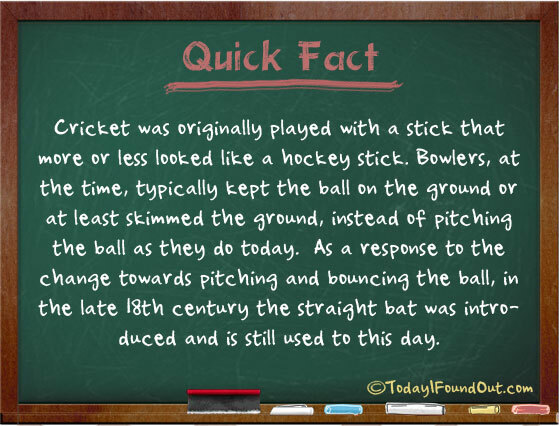 Cricket was originally played with a stick that more or less looked like a hockey stick. Bowlers, at the time, typically kept the ball on the ground or at least skimmed the ground, instead of pitching the ball as they do today. As a response to the change towards pitching and bouncing the ball, in the late 18th century the straight bat was introduced and is still used to this day.